With over 30 years in the marine industry and as a tournament bass fisherman, boating is in my blood. The goal of the entire team at Just 4 Fun Powersports is to insure that every family finds exactly the right boat to fill their wants and needs at a price that insures them the ultimate value. We know price is important. Equally important is world-class service after your investment into your new boat; our commitment is to offer just that. We want you to be confident in recommending Just 4 Fun Powersports to your friends and family for all of their boating needs. 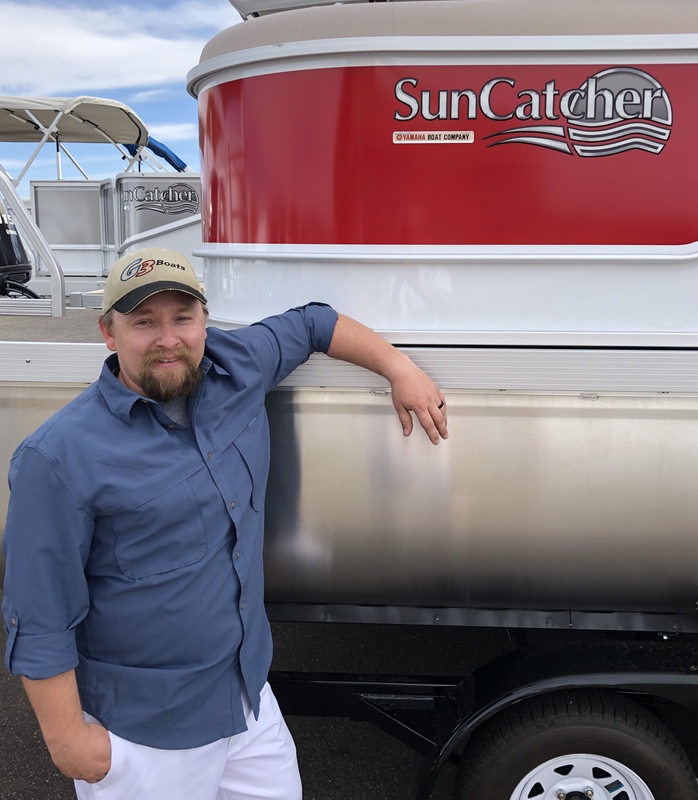 Skip brings a lot to the table with his ability to help folks with the selection of their new fishing boat or pontoon and thinking outside the box with regards to how things work. Give him a challenge and he’ll think it through, come up with a plan and get our customers back out on the water. If it runs on gas or electricity, he gets to bottom of whatever ails a boat or engine. Skip gives our customers the world-class service they deserve! As an avid motorcycle racer in the 60s and 70s and then racing boats in the 80s, he can best be described as a “wrench that can sell.” After retiring from the Los Angeles County Fire Department and selling a trucking company, he started his first true sales career as an International representative for the Charolais Association, all while running Triple C Farms Charolais in the boot heel of Missouri. “Selling the farm” led him to open a Just 4 Fun Motorsports shop – a full-service marine sales and service company. When George finally retired in Lake Havasu City, he joined his son at Just 4 Fun Powersports to provide his years of expertise in providing world-class service to customers from all over the country. Since Chuck came on-board, he’s been full-throttle with Yamaha service orders and annual services and hasn’t had the time to write up a bio! Sales Team Professional although new to boat sales is a Veteran at Customer Service. His customers love his soft approach to helping everyone find the boat for themselves and their family. Mikey asked us to do his write-up because he doesn’t have any opposable thumbs (trust us, he’s not happy about that.) Mikey the Wonder Dog is the best dog…EVER. A rescue from Western Arizona Humane Society, Mikey is 75% Bernese Mountain Dog, 12.5% Chow and 12.5% Golden Retriever. Although we don’t know his past, we can only assume he was in the hospitality industry, because he has the most calm and sweetest disposition a dog could ever have. Nervous about whether you’re making the right decision about your new boat purchase? Mikey will be there to put a paw on your leg to let you know everything’s OK. Want to get out and get some fresh air? Mikey’s always ready for a walk or boat ride (he loves the feel of the wind through his fur). And of course, Mikey welcomes all head scratches and belly rubs.